Just a quick post, since I have a thousand things to do today. 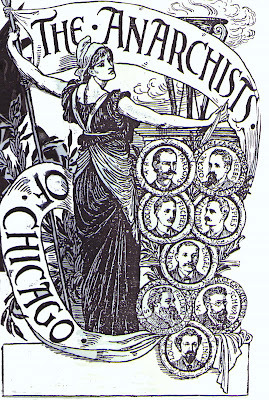 If you aren't personally doing something to commemorate the traditional day of the worker, then at least stop and take a moment to remember the Haymarket Martyrs. They were murdered because they dared to support the idea that workers shouldn't have to work as much as 18 hours a day and 6 or 7 days a week and that children should be allowed to actually be children, rather than work in a factory all day in exchange for food and lodging and very little else. 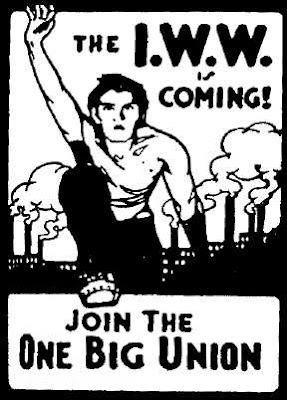 And while you're doing that, don't forget about the Industrial Workers of the World. A very large number of them were also murdered because they felt that every worker deserved to be represented in the workplace and to be treated fairly, regardless of their race, gender, or immigrant status. They, along with those earlier workers involved in demonstrations such as the one at the Haymarket Square, were ultimately responsible for the 8-hour workday, 5-day work week, minimum wage, overtime pay, and many of the other pro worker labor laws that the government eventually passed.